Artist rendering of a Helios Wire Pathfinder satellite. Credit: Helios Wire. That mission, dubbed the “SmallSat Express” by Seattle based Spaceflight Industries, will see 64 satellites launch from 34 organizations and 17 countries. The mission has been delayed frequently and does not have the originally hoped for 70-100 small satellites onboard. However, it is the first dedicated rideshare for smallsats on a U.S. based launch vehicle. 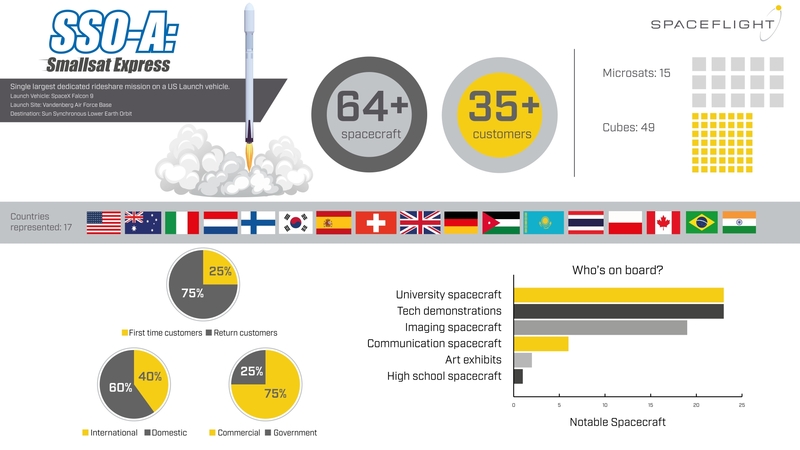 Spaceflight has launched more than 140 satellites for customers to date on a variety of global launch providers. SmallSat Express infographic. Credit: Spaceflight Industries. Vancouver based Helios Wire plans to build a constellation of 28 machine-to-machine (M2M) small satellite serving the Internet of Things connectivity market. The company announced in mid-2017 that it had raised $4M. Beyond that announcement we know little about how much funding the private company has raised to date. Last November the first Helios Wire satellite, Pathfinder I, was lost when a Russian rocket carrying several satellites failed to make it to orbit. 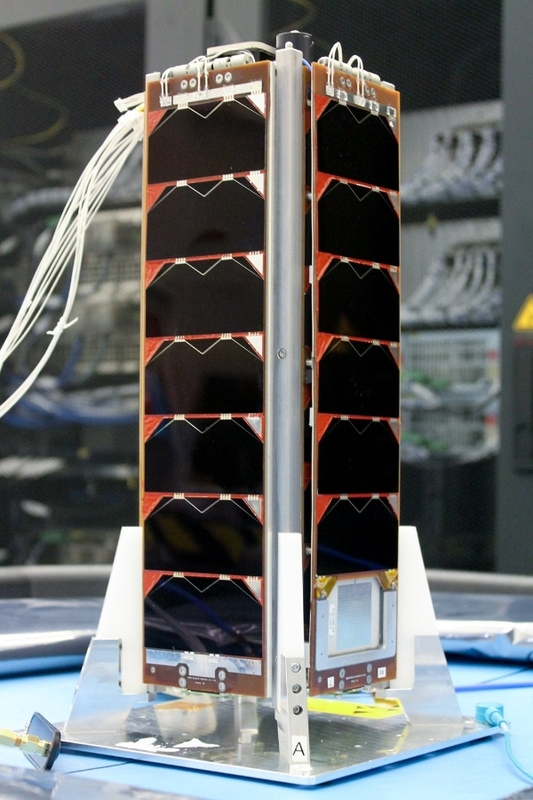 Pathfinder II, a 20kg 16U satellite built by Astro Digital, is one of the 64 satellites on the Spaceflight Industries SmallSat Express mission. The company plans to have its 28 satellite constellation completed within the next five years. The 3U (4kg) VESTA satellite is technology demonstration mission that will test a “new two-way VHF data exchange system (VDES) payload for the exactEarth advanced maritime satellite constellation” according to builder Surrey Satellite Technology, LTD (SSTL). The satellite uses the SSTL-12 Nano platform. While Honeywell is the customer, the project is funded by a grant funding from the UK Space Agency (UKSA) and which Honeywell matched. As well, there are several technology partners including exactEarth (Europe), Pole Star, TeamSurv, Satellite Applications Catapult, and the General Lighthouse Authority (GLA). The project is managed by managed by the U.K. Centre for EO Instrumentation and Space Technology (CEOI-ST). Should the technology demonstration be successful it could beneficial for exactEarth in the near future. NORsat-2, a microsatellite built for Norway by Toronto’s Space Flight Laboratory, included a large Yagi antenna designed to be used with what is believed to be the first-of-its-kind VHF Data Exchange (VDE) communication from space in 2017. Once a date and time have been confirmed for the SmallSat Express launch, we’ll post an update and will broadcast the launch live.